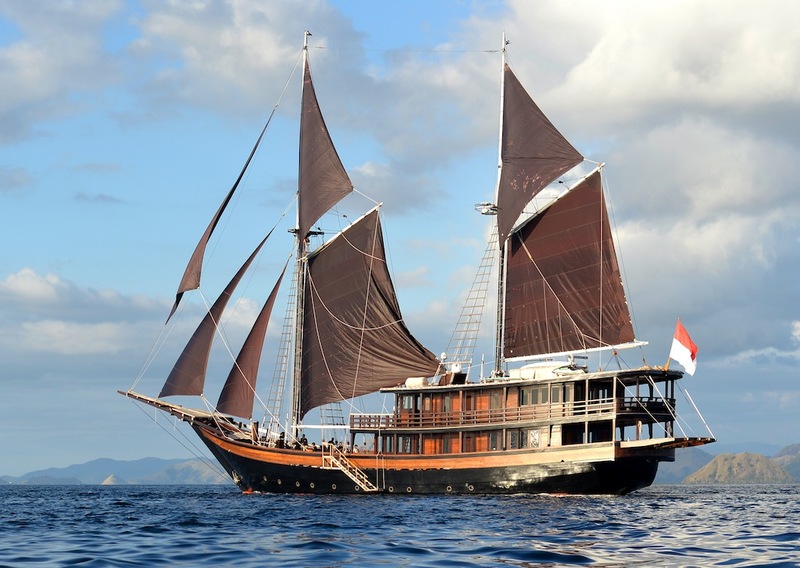 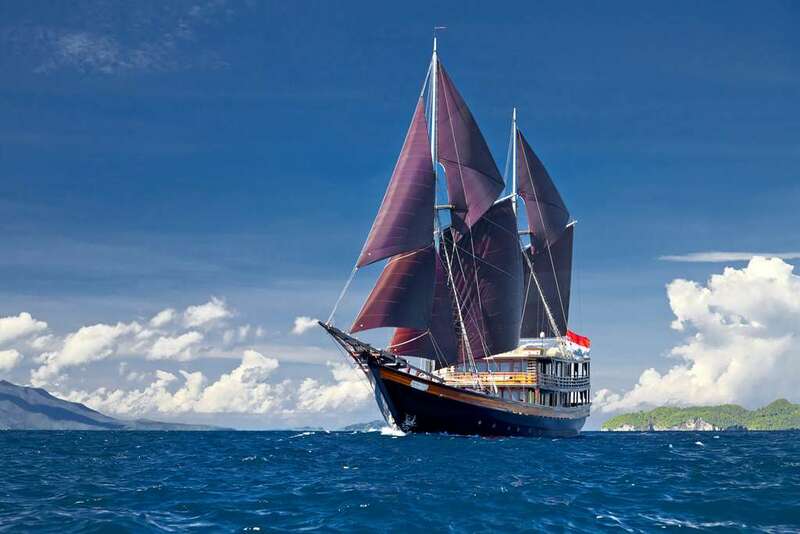 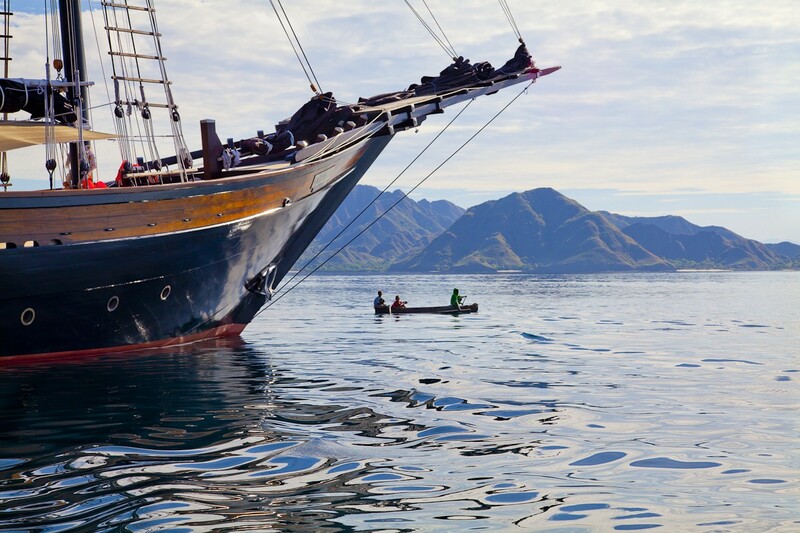 Luxury, elegance and tradition describe the 51m (167 ft) Indonesian sailing yacht DUNIA BARU (meaning New World). 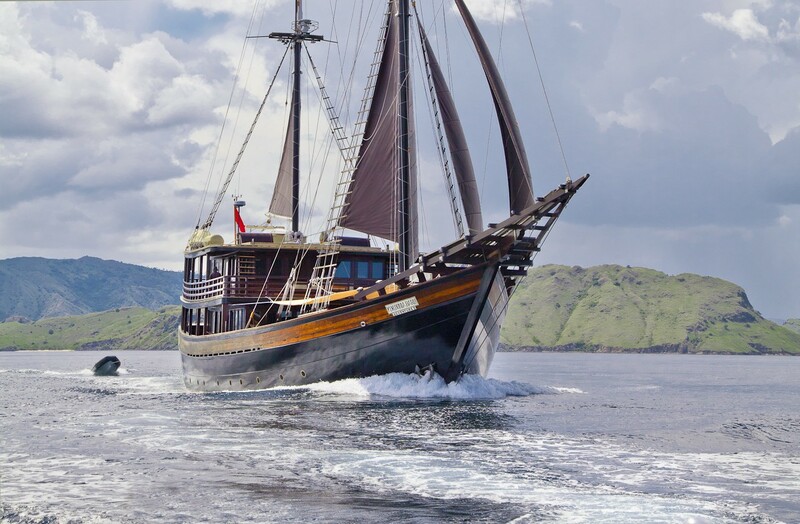 Built in 2014 by Konjo Boat Builders in Indonesia the yacht's meticulous exterior design is the work of Kasten Marine of the USA. 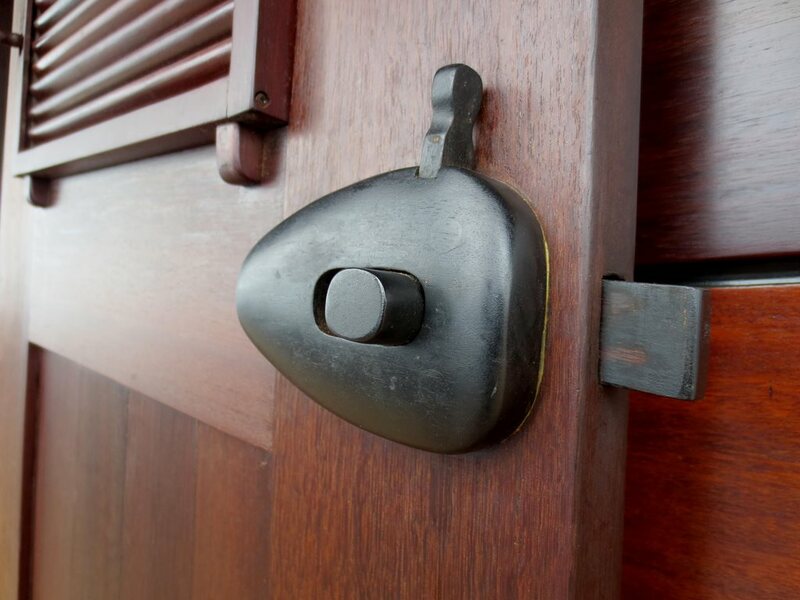 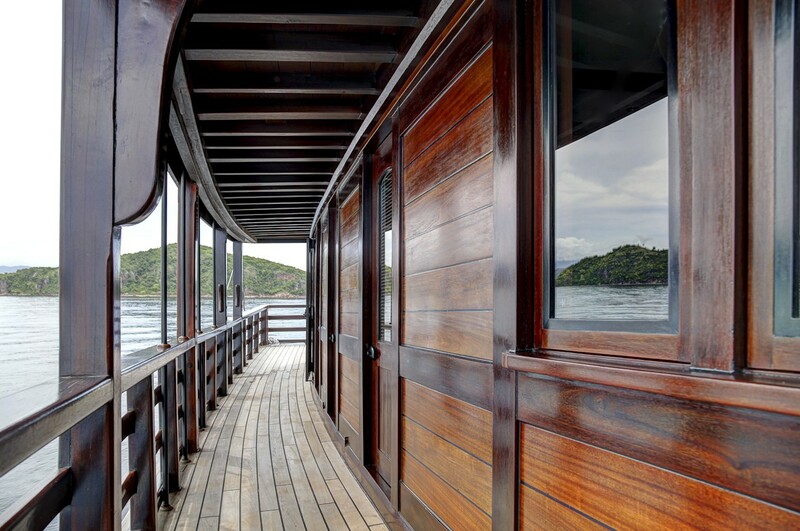 Having taken 6 years to complete, this gaff-rigged ketch delivers in both style and state of the art amenities. 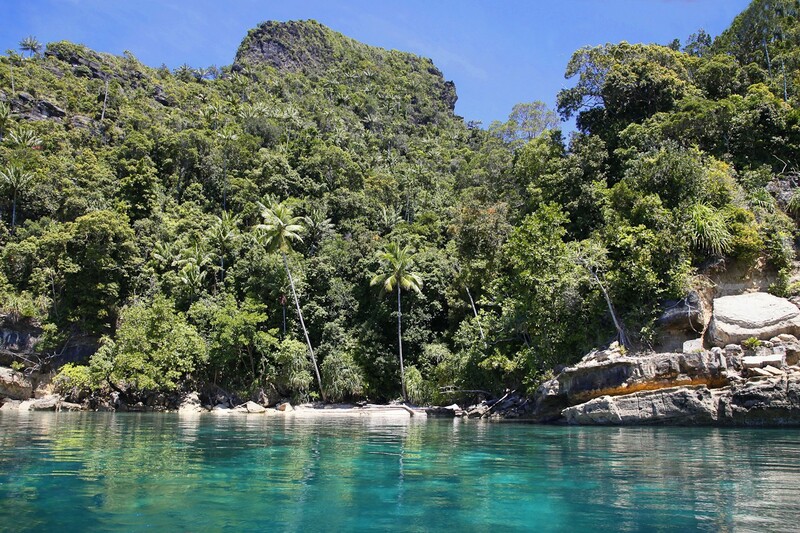 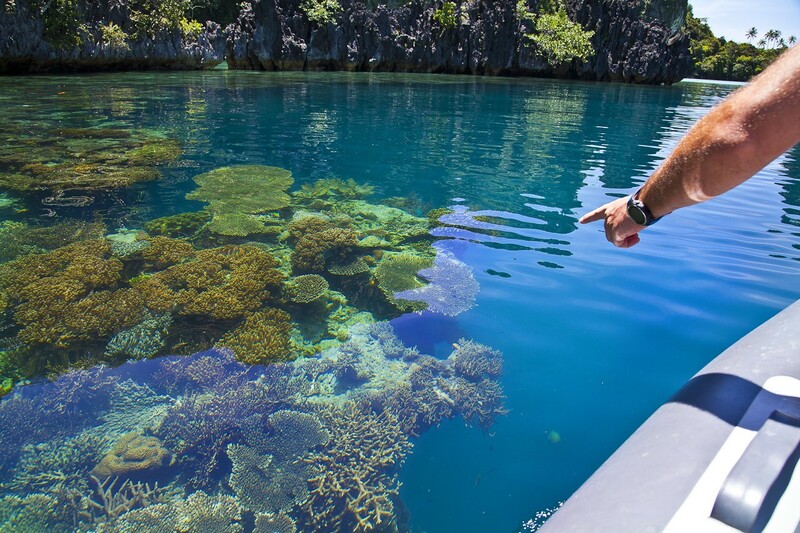 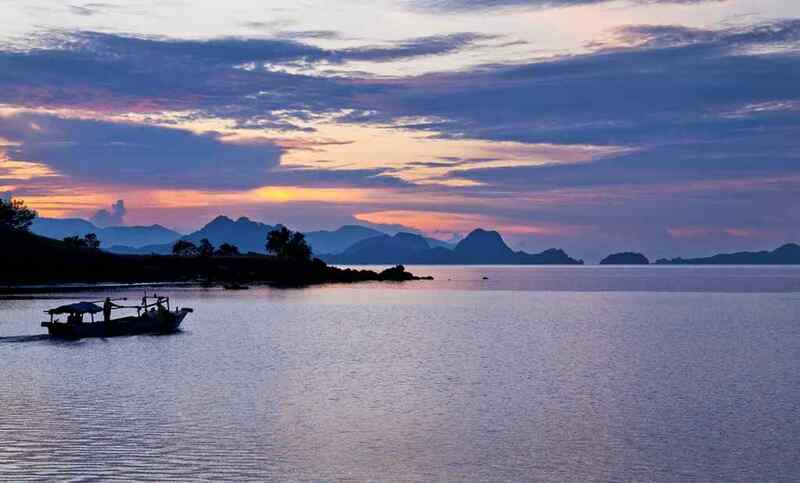 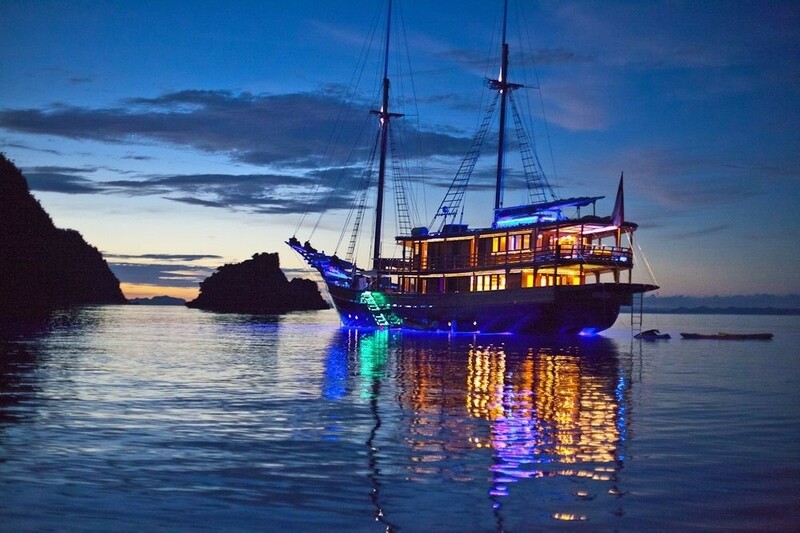 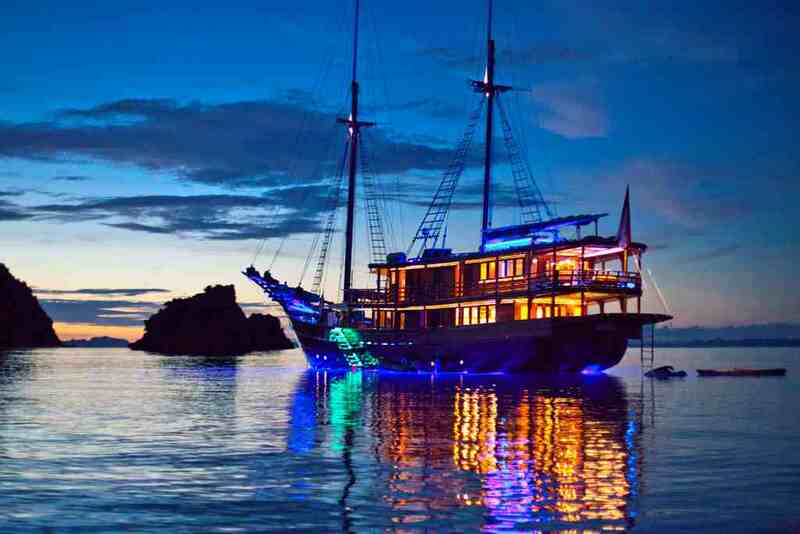 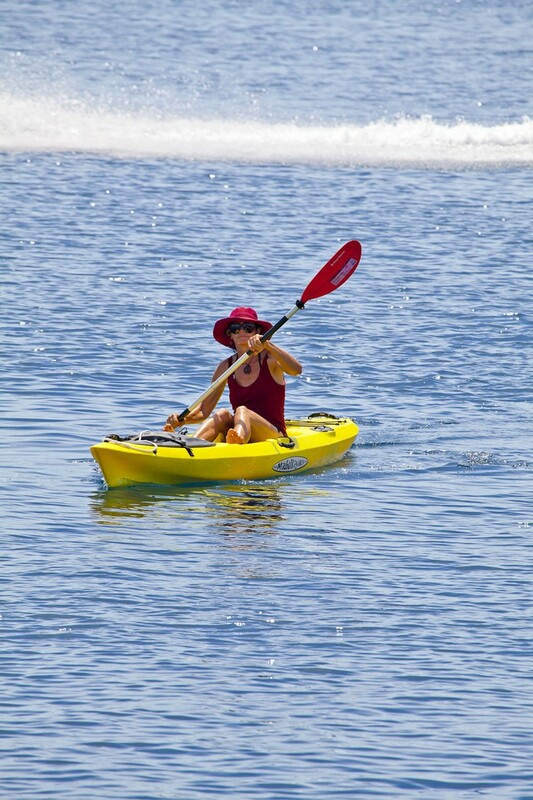 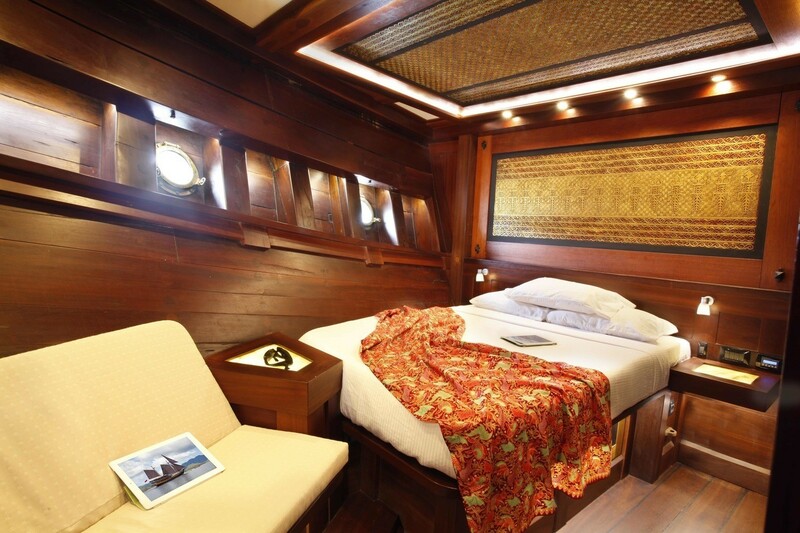 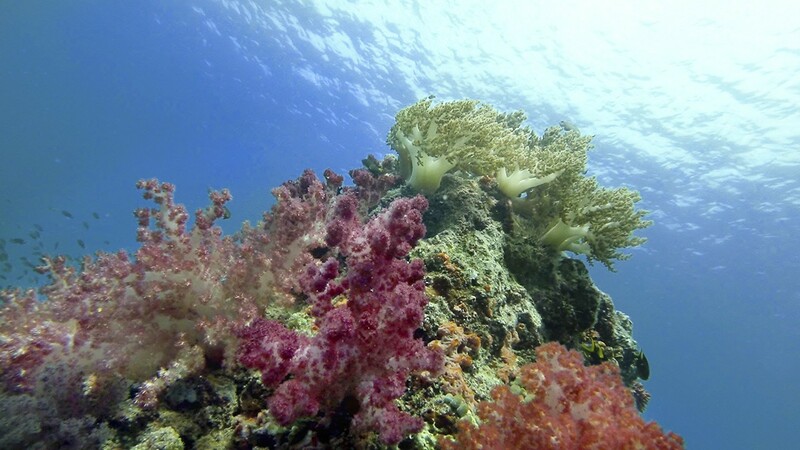 Ideal for large groups, DUNIA BARU offers 7 cabins for up to 14 guests. 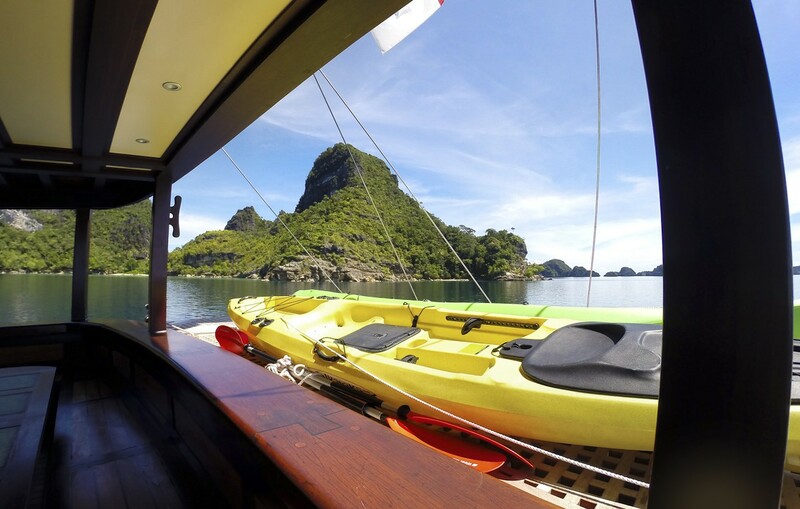 DUNIA BARU sailing yacht has a light interior thanks to the abundance of panoramic windows, seamlessly bringing the idyllic outdoors in. 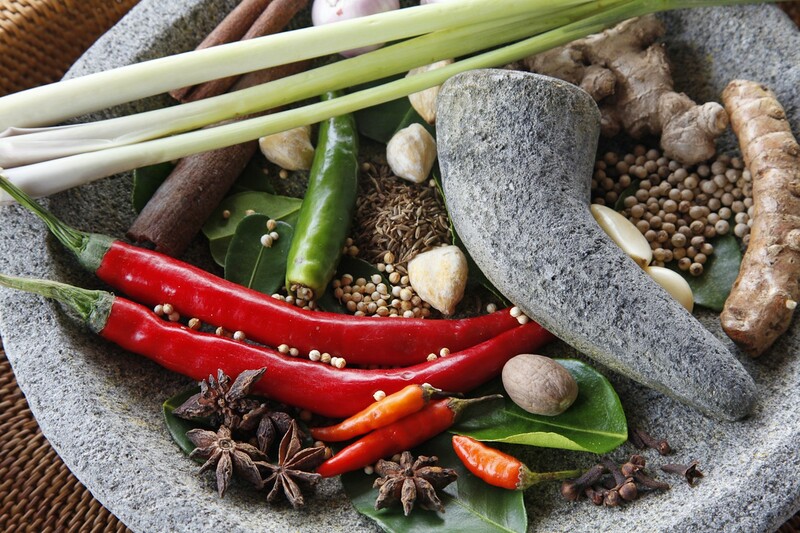 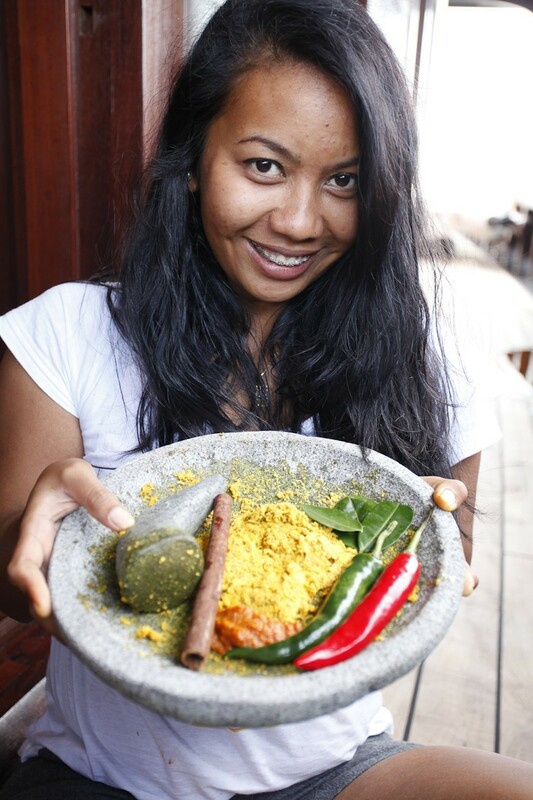 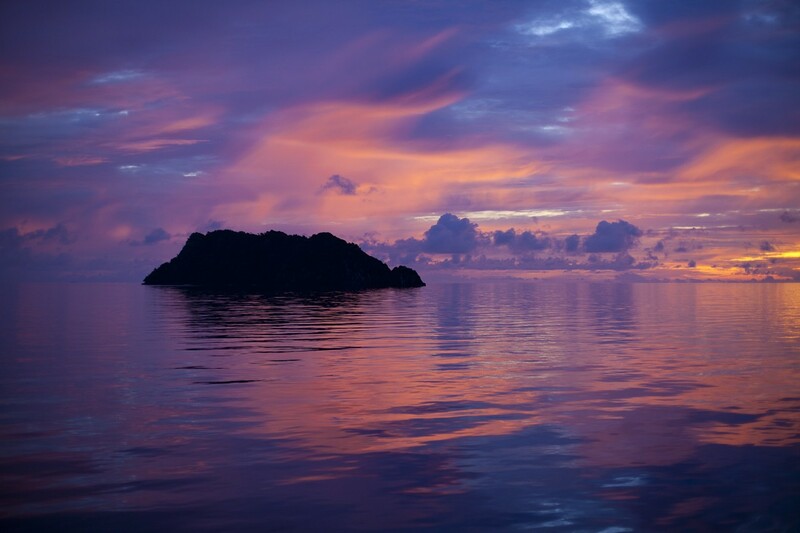 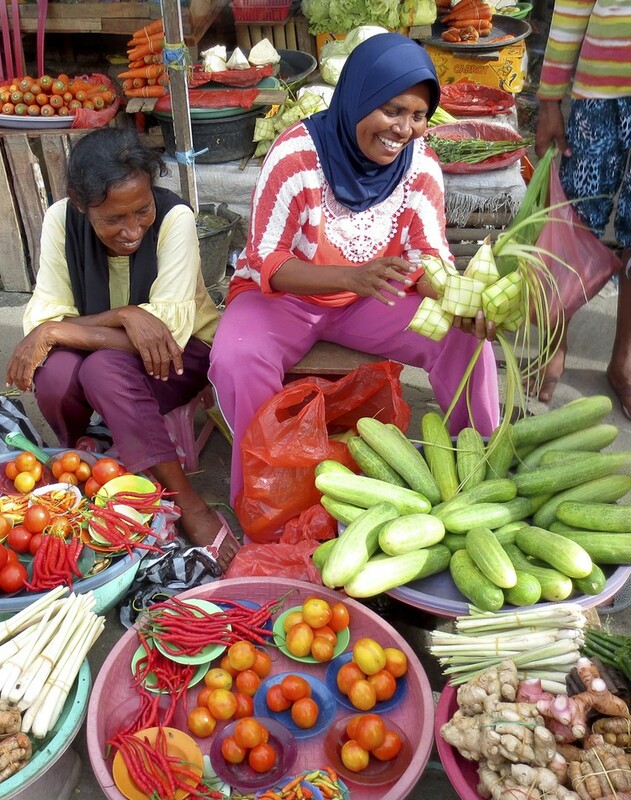 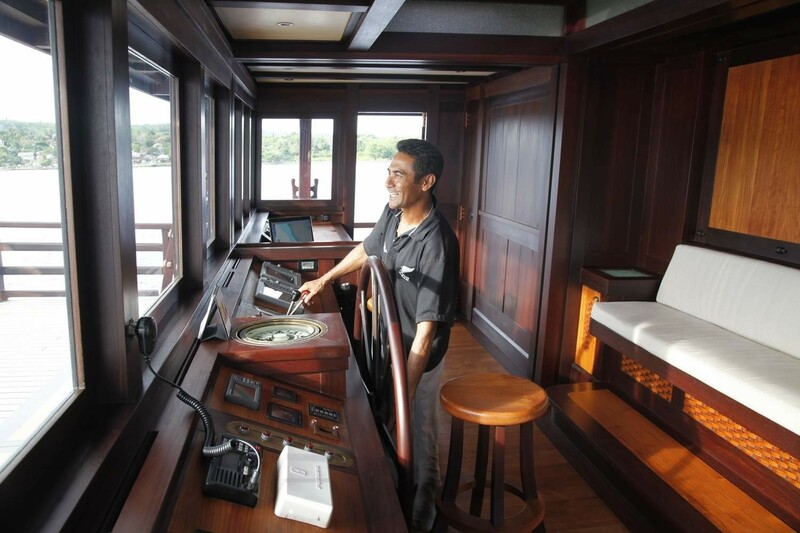 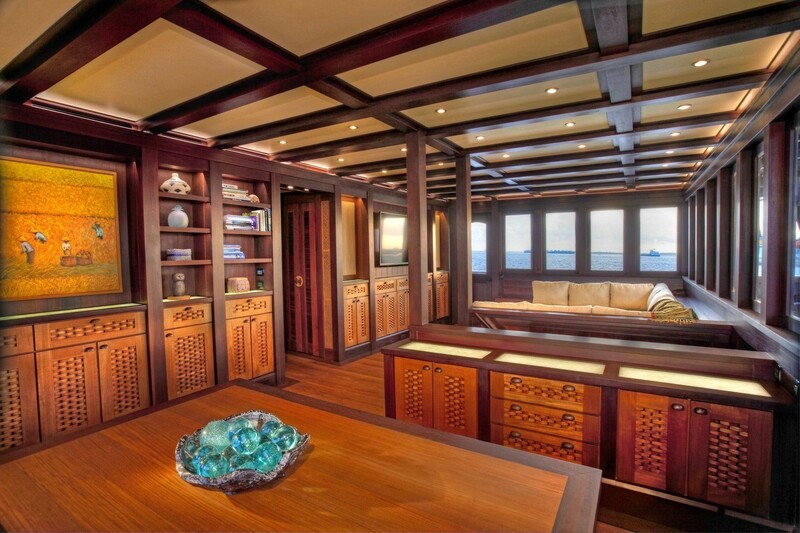 Fine art is a feature on the yacht, showing the owners love and understanding of the Indonesian culture. 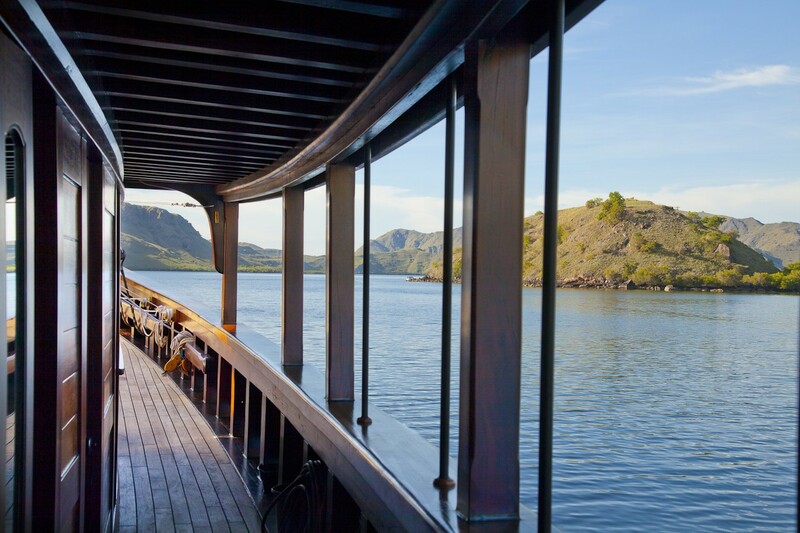 The main deck offers a large aft dining area with a Teppanyaki bar, where guests can be treated to a firsthand experience, in fine Indonesian culinary art. 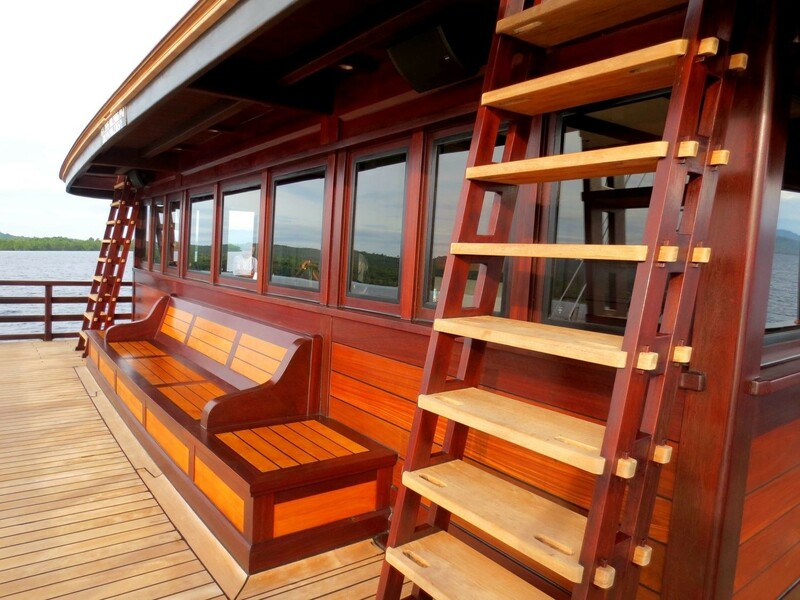 Forward on the main deck, is a full beam lounge with ample seating and entertainment options. 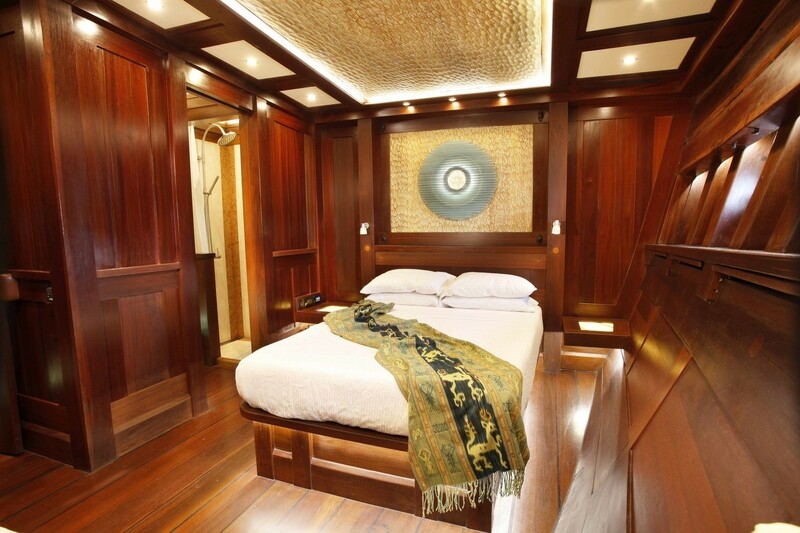 An upper deck has the spacious pilot house forward and master suite aft. 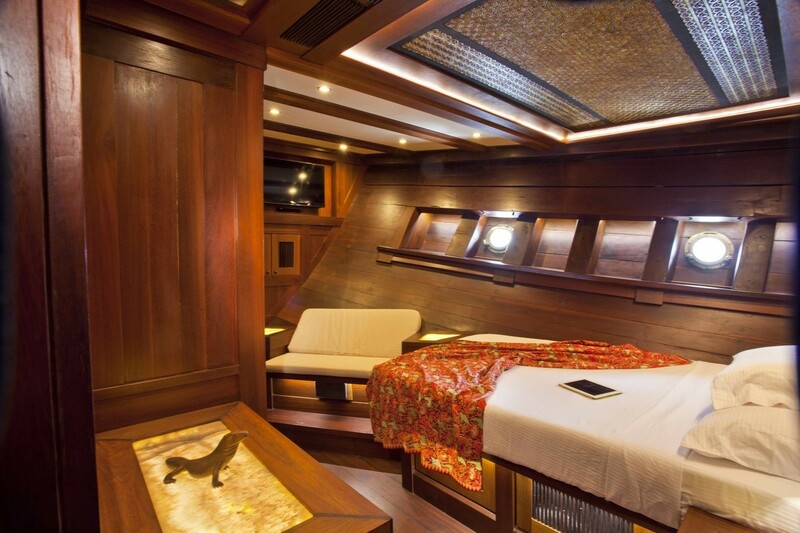 This yacht boasts a fabulous master suite, offering 180° views, four poster king bed, seating area, vanity, oversized en-suite with his and hers sinks, plus a private deck complete with day bed. 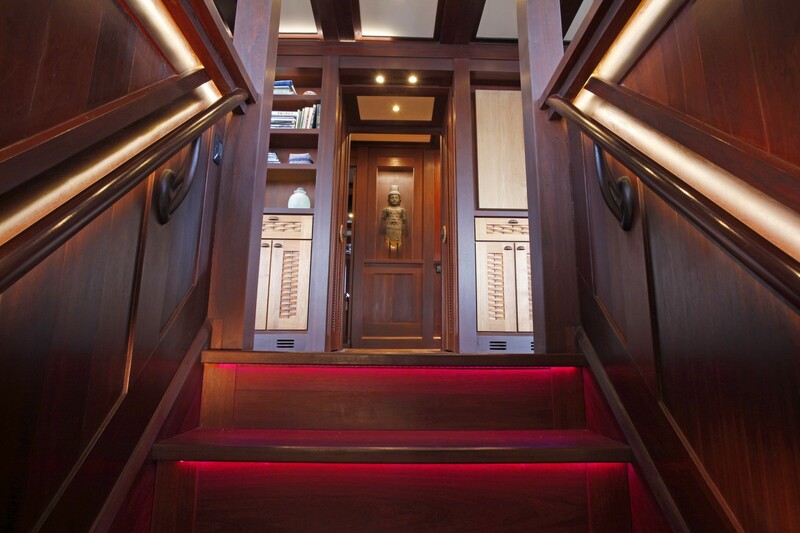 Exterior living is plentiful on 2 levels. 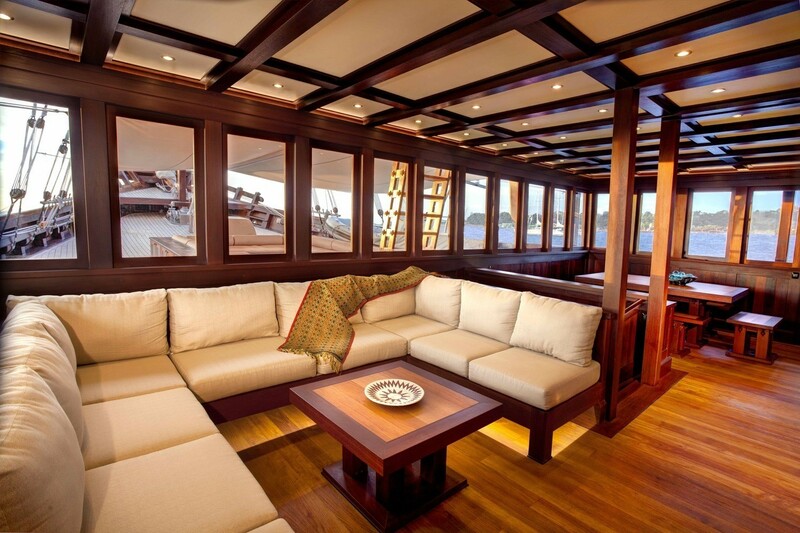 The main deck wraps around the yacht, offering an alfresco dining table aft and lounge seating forward, optional shade is provided by a removable forward Bimini forward, while aft, guests are shaded by the upper deck. 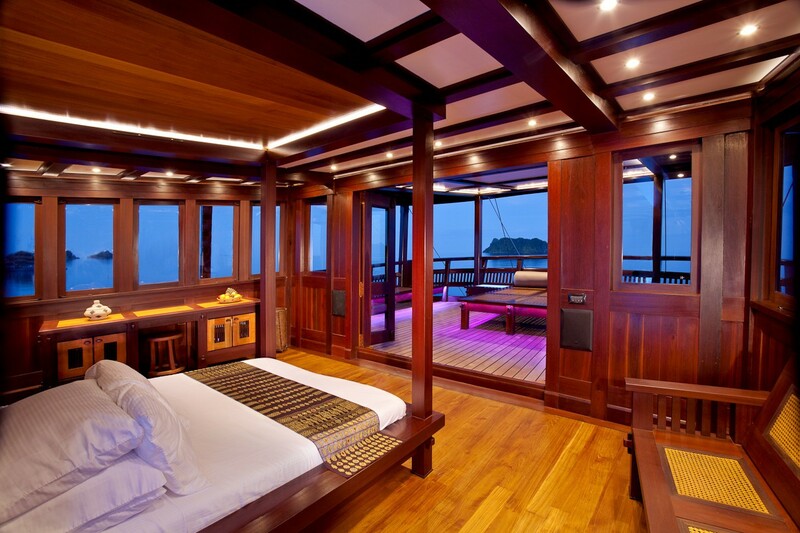 The upper deck also wraps around the yacht, leading forward to an ample deck, while aft, the master suite enjoys a private deck with seating and day bed. 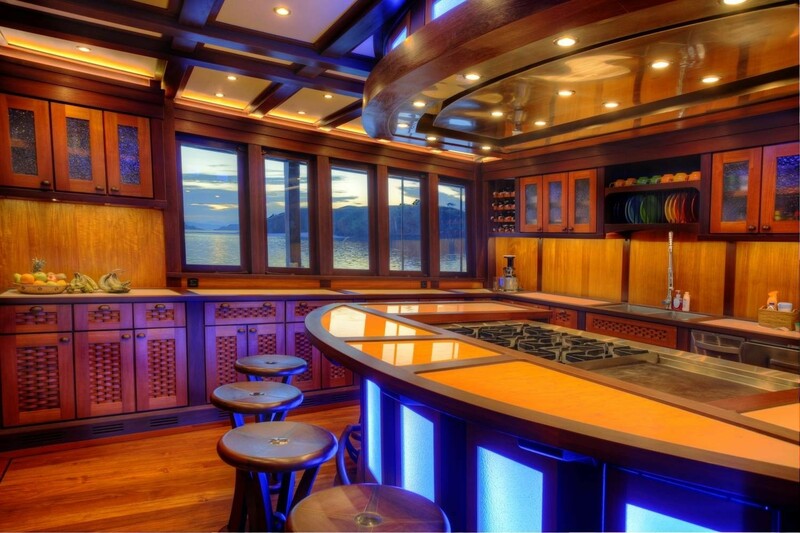 In superyacht style, she features specialized lighting, including underwater lighting and a state of the art sound system, both indoors and out. 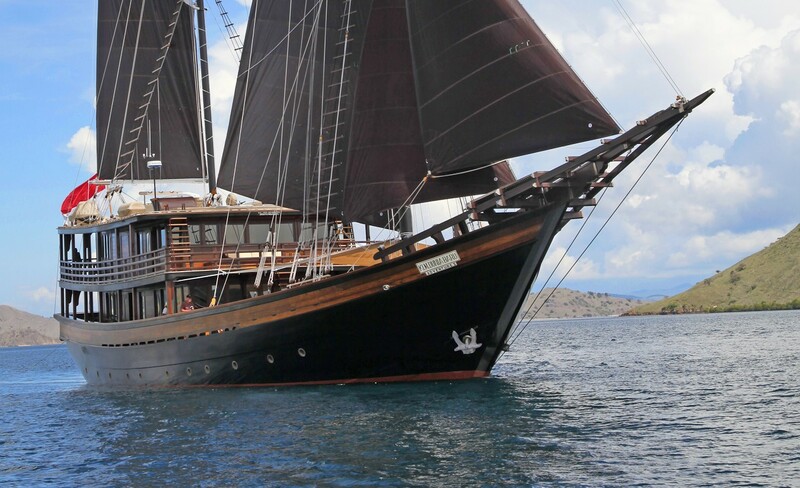 Sailing yacht DUNIA BARU has a beam of 11m (36.1ft) and a draft of 4.2m (13.9ft). 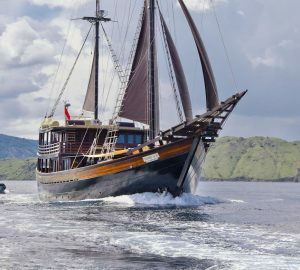 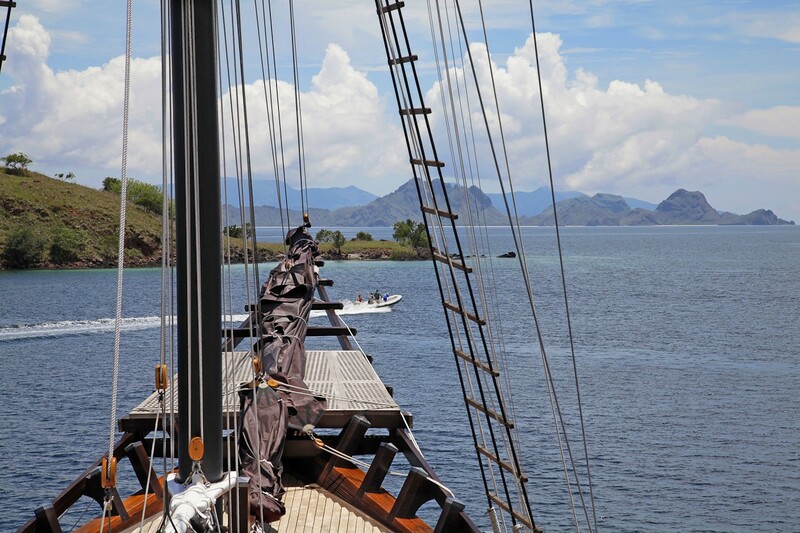 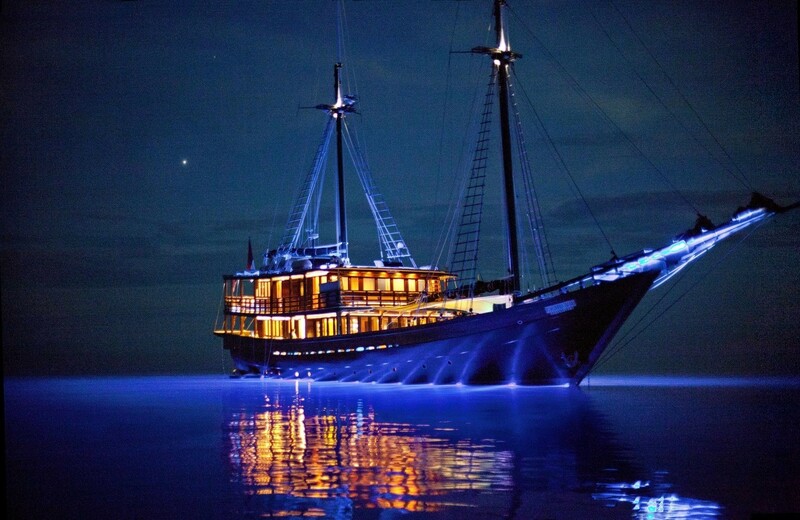 Luxury crewed sailing yacht DUNIA BARU exudes luxury and style. 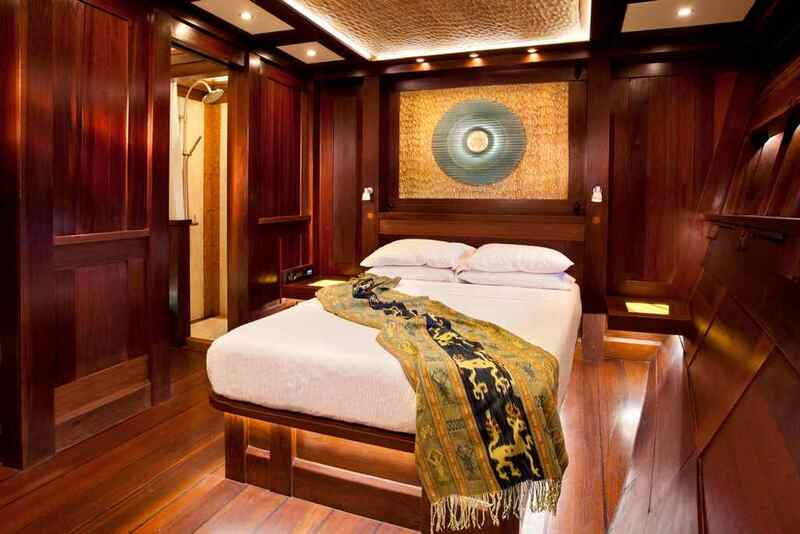 Offering 6 double ensuite cabins (bedsize 140 - 160 cm) and 1 master with king-sized bed (180 cms), the yacht is the perfect choice for large groups of up to 14 charter guests. 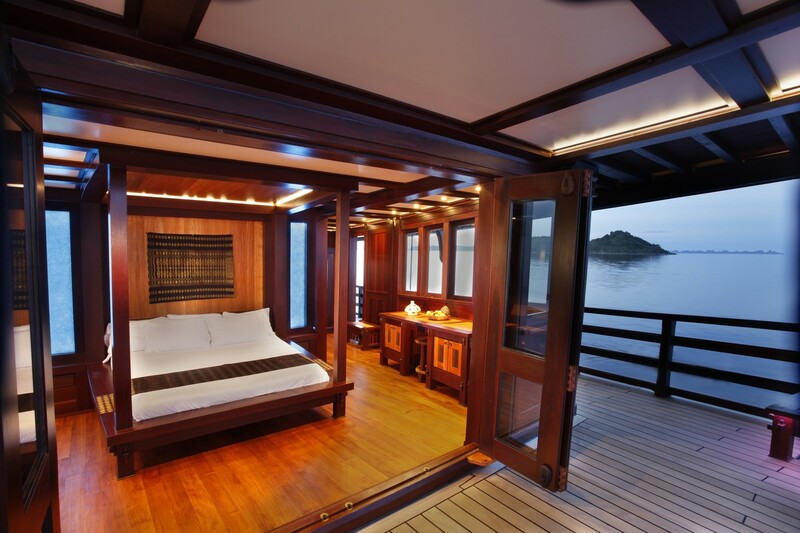 The master suite is on the upper deck, with a center lined four poster king bed, vanity, seating, 180° views, large en-suite with his and hers sinks, plus a private aft deck with daybed. 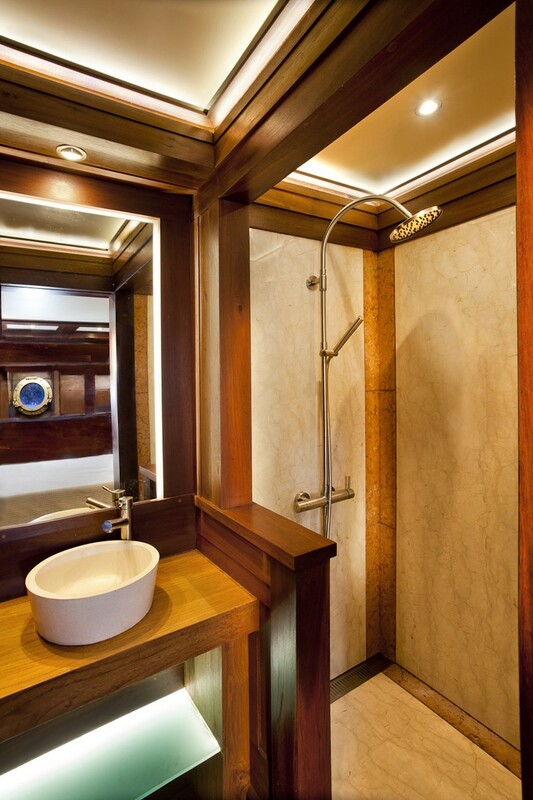 Below decks are 6 well-appointed double cabins, each with plenty of space, light, entertainment and soothing natural décor. 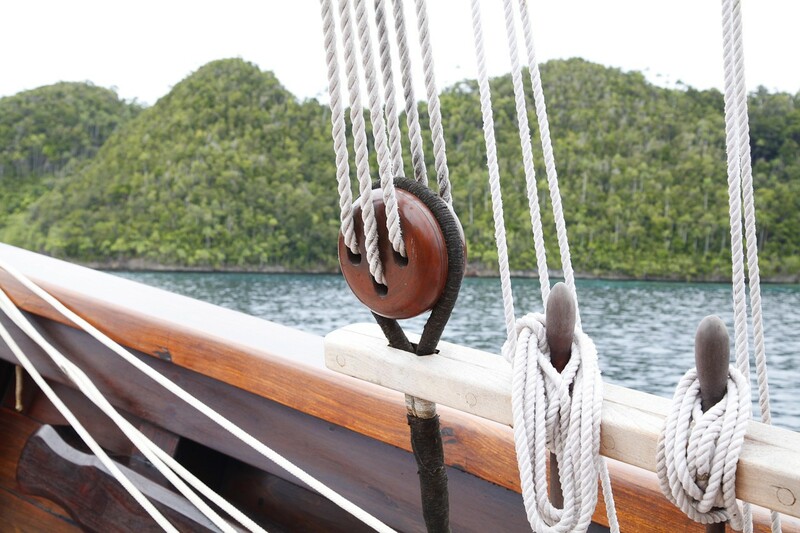 Attention to detail is evident in all aspects of the S/Y DUNIA BARU, creating a truly unforgettable luxury sailing holiday.